African people made the earliest, and the most important, scientific inventions. And they kept on making inventions right through antiquity and the Middle Ages. 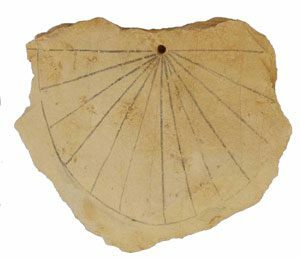 The earliest tools, the earliest use of fire, and the earliest use of numbers are all from Africa. People in Africa began to make their own stone tools about 1.9 million years ago, before they even evolved their big brains. They made baskets, and string. People in Africa probably figured out how to use fire about 800,000 years ago (or maybe a little earlier). By about 250,000 years ago, early people evolved into modern people. These people invented boats, probably before 100,000 BC. Around 60,000 BC, African explorers left Africa and settled India and Australia. Soon they reached West Asia, Central Asia, Europe, and China. A little later, they got to the Americas. The Africans who stayed behind in Africa – most of the people alive at that time – kept right on inventing things. Around 50,000 BC, they began to make fish-hooks. By around 35,000 BC, African people were using tally sticks to keep track of numbers. 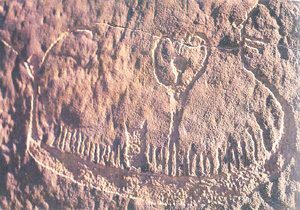 Ten thousand years later, about 25,000 BC, people in Africa were using bows and arrows to hunt animals to eat. They probably also used their bows to defend themselves against their enemies. 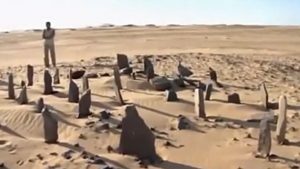 Around 6000 BC, people in Sudan built circles of standing stones. They probably marked astronomical events like the changing seasons. By about the same time, people in Egypt and Sudan were brewing beer from grain. About 4000 BC, Sudanese people also tamed wild donkeys, and started to grow millet and sorghum. People in Egypt were making glass beads by around 2700 BC. They also started to bake yeast bread – risen bread. By about 1000 BC, Africa, women were more involved in science and technology than they were in Greece or Rome or West Asia. Women were responsible for the African pottery industry, and for iron smelting when West Africans began to smelt iron about 400 BC. In North Africa, Carthaginian metal-smiths figured out how to mix cheap tin with copper and cool it slowly, so the tin would coat the surface and you could polish it to look like expensive silver. The Ptolemies founded a great university and library in their new city of Alexandria, Egypt about 300 BC, and many scholars came to work in Alexandria. Alexandria continued the ancient Egyptian medical tradition with the doctors Herophilus and Erasistratos, but also added serious study of astronomy and mathematics. In the 200s BC, Aristarchus figured out that the earth went around the sun there. Erastothenes, who was born in Libya, calculated the circumference of the earth in Alexandria, and how far it was to the moon. 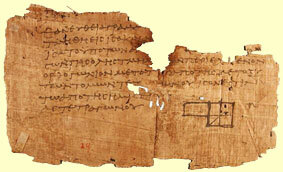 Euclid wrote the principles of geometry. Archimedes studied with these scholars in Alexandria before he returned to Sicily to work. 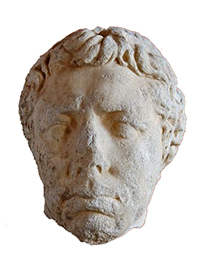 Near the Atlantic coast in Caesarea and Volubilis (modern Morocco), Juba II and his wife Cleopatra Selene (the daughter of Anthony and Cleopatra) wrote several science books around 10 BC. Juba and Cleopatra also sent explorers to the Canary Islands, which they named after the wild dogs there (canes), and wrote a best-selling guide to the Arabian peninsula. 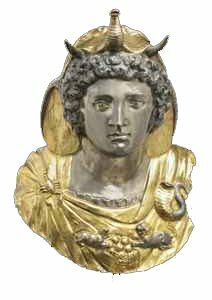 Around this same time, Roman metalsmiths learned the Chinese method of silver-plating and gold-plating using mercury. African scientists continued to work all through the Roman Empire, though the Library at Alexandria seems to have been shorter and shorter of money for books and researchers. 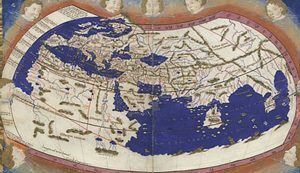 The geographer Ptolemy was born in Egypt about 90 AD, and worked at the University in Alexandria. He drew a map of the world, and tried to figure out how the planets moved. Three hundred years later in the 400s AD, the mathematician Hypatia was still in Alexandria. 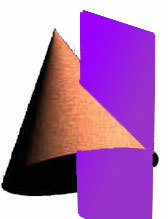 She worked on the geometry of cones and what happened when a cone was intersected by a plane. Cite this page: Carr, K.E. African Science and African Inventions – History of Science. Quatr.us Study Guides, May 19, 2017. Web. April 18, 2019.